41 West Cork towns, villages and 8 islands collaborate on 255 fabulous foodie and adventurer events. 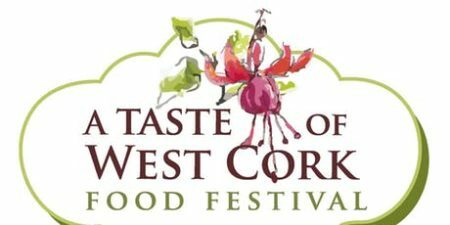 Billed as Ireland’s largest food festival, A Taste of West Cork Food Festival, which runs from 7th-16th September, has launched its wide-ranging programme of events at Castle Freke, Castlefreke, West Cork. With West Cork being awarded the No. 1 Foodie Destination 2017 by The Restaurant Association of Ireland, and the festival being the showcase of the region for the award, the Festival now brings its culinary reputation to new heights with the arrival of 6 chefs from the USA. This is a welcome outcome following the introduction of the Cork to Providence/Boston flights, which brings the Festival to a new international level. The 10-day Festival now offers the largest number of events it has ever undertaken, with 255 culinary and adventure events across the region’s 41 towns and villages and 8 islands. Shaping up to be the most exciting and enticing food Festival to date, visitors are welcomed to a foodie’s paradise, with an array of both national and international chefs preparing culinary-themed feasts in local restaurants, food tastings al fresco, foraging walks, open-air markets, seminars, cook-offs, masterclasses and intimate evenings with local artisan food producers imparting their culinary wisdom. Popular Irish guest chefs include Rachel Allen and Martin Shanahan, with the Michelin-Star chef Derry Clarke returning for his eclectic food extravaganza on Sherkin Island. New additions to this year’s programme include; the hugely vibrant Happy Pear brothers Dave and Stephen Flynn (from veg shop owners to two cafes, a full product range, courses and cookbooks as well as a huge digital presence including Jamie Oliver’s Foodtube network), Andrew Heron and Damien Grey of Michelin starred restaurant Heron & Grey and Ken Doherty and Gwen McGrath of Assassination Custard, Eddie Attwell (Eccles Hotel in Glengarriff). They will be joined by award-winning food ambassadors including Diana Dodog (MasterChef Ireland Winner 2014), Tessa Perry (Glebe Gardens – Irish Times Best Irish Café 2015), Robbie Krawczyk (Restaurant Chestnut, Ballydehob – Ireland’s Best Chef in Leinster 2016), Caitlin Ruth (Deasy’s Harbour Bar & Restaurant – Best Gastro Pub in Cork 2016), Hugh Hyland (Head Chef at Roly’s Bistro, Dublin), Carmel Somers (Good Things Café Skibbereen and Irish Times food columnist) and Enda McEvoy (Best Chef in Ireland 2016), Ross Lewis, (Michelin Star Chapter One, Dublin). Chefs from Providence, Quincy and Scituate (which is twinned with West Cork and where 60% of its inhabitants have an Irish background) will guest chef at a number of restaurants across West Cork during the Festival. Shaun O’Neale (USA MasterChef 2016 winner), Matt Varga (Providence), Ballincollig native Brian Houlihan (Scituate), Tom Anacone (Quincy), Anthony Tarro (Providence, Rhode Island) and David Levi (Maine Rhode Island) are amongst those listed to delight audiences. Not forgetting our European counterparts, Belgian Chef Daphny Hilven, Lyon-based Chef Olivier Maindroult and Italian/Argentinian Chef Florencio Fons will also descend on West Cork for the Festival, ready to share their secrets to culinary success. Sustainability, foraging, and home-grown produce plays an increasingly important part in modern society and with that in mind there will be an abundance of workshops and events presented by experts such as Alan Mahn (forager and wild medicine expert). The burgeoning vegan population and those interested in the health food lifestyle will find vegan chefs Suzanna Melinn (Banana Melon Kitchen) and Jena Malone (vegan Korean and Vietnamese) sharing their menus during the Festival. Other familiar Guest Chefs returning to the Festival include Danni Barry (Michelin Star chef and Irish Chef of the Year 2017), Kevin Ahern (winner of Best Chef in Munster Awards 2014 at the age of 24), Bryan McCarthy (award-winning Head Chef at Greene’s Restaurant, Cork), Decky Walsh (Chef and Pitmaster specialist at Holy Smoke Cork) and Paul Cartwright (Chef de Cuisine at Roly’s Bistro Dublin). As part of the Festival, the West Cork Creates exhibition opens at the O’Driscoll building in Skibbereen at 1pm on Saturday 11th August and runs throughout the festival. This creative display will be launched by journalist, writer and editor Gemma Tipton. Conferences, forums and talks are an integral component to A Taste of West Cork Food Festival, with this year being no exception where The West Cork Forum ‘West Cork Paradox – Famine to Feast – Survival to Innovation’ takes place on Saturday 8th September at Baltimore Sailing Club, Chaired by Lord David Puttnam and featuring guest speakers such as European Commissioner for Agriculture and Rural Affairs Phil Hogan, Intel Ireland General Manager Eamonn Sinnott, Food On The Edge and Chef/Owner at Aniar Galway JP McMahon, President at Glenn Dimplex Sean O’Driscoll. The launch event for A Taste of West Cork Food Festival at the iconic gothic landmark Castle Freke, overlooking the sea, took place yesterday Wednesday 4th July at 6.30pm and saw an attendance in excess of 220 people drawn from West Cork, Ireland and beyond. Revellers had the opportunity to meet the team behind the festival as well as some of the producers, chefs and venue owners that will be taking part in the 10-day festival. “The unity that West Cork has displayed in coming together to promote this unique region which we love and want to share makes me incredibly proud. There is such a plethora of talent and support around the Festival year in, year out, it really never ceases to amaze me. Our fabulous supporters and ambassadors this year will take A Taste of West Cork Food Festival to yet another level by putting their own unique stamp on the best of West Cork’s produce. And…it is going to be phenomenal to have our USA guest Chefs here to show us how they will work with our produce and share their tricks of the trade. We have three cornerstones to our annual Festival and they include; the unity of West Cork from Bandon to Beara across forty-one towns and villages and eight islands; the magic ingredients of West Cork from food producers, restaurants, stately homes, islands and gardens, and of course; our Guest Chef Programme which creates excitement for the customer, the venue and the local food producers, making these visiting chefs natural ambassadors for our great produce. A Taste of West Cork Food Festival showcases and unites all that is wonderful about West Cork – ‘the magical ingredients’ that form this special and unique place – superb food and seafood; award-winning restaurants, stunning land and seascapes; fascinating islands; wonderful art and craft and the innovative and intriguing people that call West Cork home. This year visitors and locals alike will experience all things food from photography and art exhibitions, to family fun days, meet the producer opportunities to outdoor pursuits, talks, workshops and performances – something to suit all pallets! The Festival is supported by Cork County Council, Fáilte Ireland, Tourism Ireland, Fields of Skibbereen, Bord Bia, Sean & Rose O’Driscoll, Pure Cork, Cork Airport, Cork Convention Centre and many other supporting sponsors and patrons from the region and elsewhere. International Chef Extravaganza – A Taste of the New World, A Taste of Massachusetts, A Taste of Rhode Island, A Taste of Maine – at the Celtic Ross Hotel, Rosscarbery. In an evening extravaganza, the visiting guest chefs from the United States come together for a Taste of the New World. Each chef will do a short cooking demonstration of a dish particular to their restaurant and region, while representatives from the accompanying USA delegations will present a short talk and promotional video. Chef Tessa Perry (Glebe Gardens), together with Celtic Ross’s Executive Chef Alex Petit and Head Chef Shane Deane, will represent West Cork culinary champion vying with the international chefs in search of foodie excellence. The legendary West Cork food producers will set up stalls, showcasing West Cork, with lots of tastings – including craft beer and gin tastings – truly an international ‘coming together’ of many talented chefs and foodies. A Lobster Garden Party with MasterChef Ireland Winner 2014 Diana Dodog (at The Lifeboat Inn Gastropub, Courtmacsherry) where lobster, freshly landed on Courtmacsherry Pier – a mere 500 yards away, will be cooked to perfection. Delicious oysters, prawns and tasty lobster bisque will also feature on the menu for this wonderful evening garden party. O’Keeffe’s SuperValu Bantry will play host to The Happy Pear brothers Dave and Stephen Flynn for an in-store cookery demonstration with lots of delicious vegan tastings, and a good sprinkling of fun from the twins. Flora, fauna and food – a Bumblebee Farm Tour, cocktails and tasting menu with Head Chef of Eccles Hotel, Glengarriff, with Eddie Atwell as guest chef at Bumblebee Farm, Castledonovan, Drimoleague. Roly’s Bistro at Annie May’s Bar and Restaurant, Bridge Street, Skibbereen. For one night only, Roly’s Bistro, a well-known Dublin establishment, will relocate to a family-run Annie May’s Bar and Restaurant. John and Angela O’Sullivan of Roly’s Bistro will be in Annie May’s kitchen along with Roly’s Chef de Cuisine, Paul Cartwright and Roly’s Head Chef Hugh Hyland. Together they will recreate Roly’s Bistro classic dinner menu using West Cork sourced produce. A Celebration of the Bounty of West Cork with Head Chef at Ballymaloe Gillian Hegarty hosted by Arís Café Wine Bar, Asna Sq., Clonakilty. Expect global influences and the very best West Cork has to offer over five courses, small plate style, with expertly matched wines. From Famine to world fame: Celebrating Clonakilty’s famous sons: Michael Collins, John F. Kennedy and Henry Ford at Fernhill House & Gardens, Clonakilty, with special guest appearance by USA MasterChef Winner 2016 Shaun O’Neale. Explore the amazing links these families have to this region in a historical walk and talk in the gardens of Fernhill House, with sweeping views across the townland where Collins was born, and JFK’s family lived. Then enjoy a cocktail reception and four course dinner showcasing West Cork food and the culture that helped produce these extraordinary world figures. Skibbereen – the heart of the Festival. There have been 2,000 international enquiries to the Festival so far this year. 200-500 people attended per day per event. There was an average spend of €1,000 per week per American. The geographic breakdown of attendees last year was – 40% regional, 40% national and 20% international (the latter was an increase of 5% on 2016).